My favourite iteration of this series. 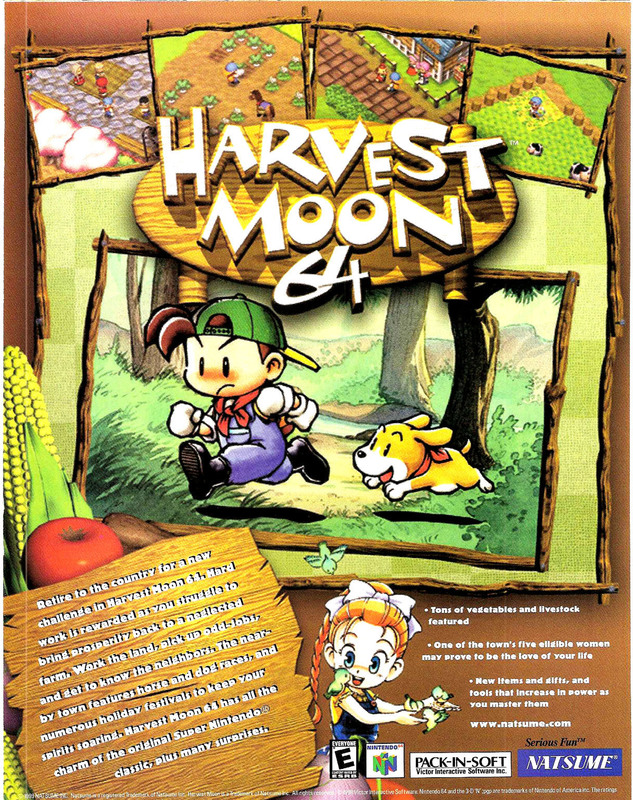 Harvest Moon 64 puts you in control of a young farmer who is tasked with rebuilding and maintaining a farm, raising animals and starting a family. It seems a ridiculous notion making a game about farm work, but it’s actually pretty engrossing and a hell of a lot more fun than the real thing.